Perfect, hard-to-find CD. Thank you. 'Free So Free' isn't a great album. Its not exactly bad either, just kind of middling. 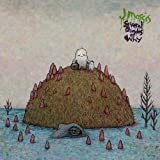 J Mascis hasn't really created a great set of songs since 'Green Mind' or maybe 'Where You Been?' both with his band Dinosaur Jr. This set of song isn't really all the different from where he left off with that band of his last album as J Mascis & the Fog. Imagine Neil Young only more of a slacker and virtually none of the anger. Only that probably unfair to J as his own distinct personality is for better or worse stamped all over 'Free So Free'. He spins of some incredible solos left and right, not so much spectacular virtuosity as quirky bits of twisted flights of fancy (not that J isn't a brilliant guitarist, he is). The best song and the only really great one is 'Everybody Let's Me Down' a song J should have (some might meanly say already did) write years ago during the grunge explosion when it probably would have been a massive hit. Elsewhere this is tired album, full of songs about relationships that are breaking of have broken down and about breaking out of the ruts in life whether it be depression or just old habits. If you're not a big Dinosaur Jr. fan then I probably wouldn't recommend it, and even if you are only get it if you're a completist or you prefer the later albums than band put out. 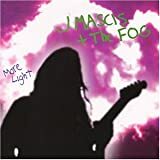 When I heard J. Mascis had released a second album with his new project, the Fog, I was elated to say the least. The Fog's initial effort, 2000's "More Light," was fantastic and confirmed my membership in the life-long Dinosaur Jr. and J. Mascis fan club. I saw J play tracks from "More Light" live in Houston and it only confirmed how strong the songs were and how much I can't seem to get enough of J's guitar work. Unfortunately, that's not been the case with "Free so Free." From the labored feel of the opening cut, "Freedom," to the unparalleled redundance of the word "freedom" itself, the album just seems to be missing the usual brilliance and heart-felt emotion that have characterized J's previous work. 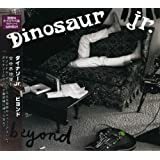 I have played the album three to four times, searching, looking and hoping for that spark that permeates classic Dinosaur Jr. cuts and even the Fog's first release. But I keep coming up empty. Listening to the album becomes an exercise in pushing the skip button, forever moving to the next track in the hope that a hidden gem will surface that so far has been overlooked. At moments, it appears a diamond will surface. A hook here or a melodic chorus there jumps out and I'm just about convinced the track is going to be yet another J. Mascis favorite. But then the hook dies, or the chorus gets swallowed by a bored verse, and I'm left wondering where it went. Even so, the album is not a complete letdown. There are moments of greatness, moments when J hits the overdrive and pushes his guitar to limits that few guitar players will ever reach. That's the case on "Say the Word," the album's ninth track. J launches into a wah-wah laced solo that is nothing short of exceptional. And though the solo is lengthy, it is so wonderful you still feel cheated by the time he hits the last note. And yet, the song itself falls short. The two-chord verse riffs are slow, tedious and generally sound uninspired. It's indicative of the album as a whole. So, would I suggest buying this album? Well, that depends. 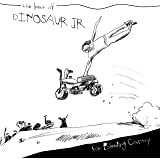 If you are a long-time Dinosaur Jr. and J. Mascis fan, definitely pick this up. Even at its worst, the album is still better than the endless hordes of sound-alike "alternative" bands that currently have a stranglehold on the radio. But if you've never heard J before and are curious about his work, don't buy this one first. Instead, start with Dinosaur Jr. albums like "Where You Been," "Without a Sound," "Hand it Over" and even earlier releases like the classic "You're Living All Over Me." And don't forget "More Light" by J and the Fog. It's a great album, too. Then, after you've been won over by J, come back and pick up "Free so Free." At least then you'll know what you're missing. Just say the name J Mascis and all the old Dinosaur Jr. fans start debating when people should have stopped listening or buying their records. Some claim Bug was his last great album, while others hail the variegated sounds of Green Mind. 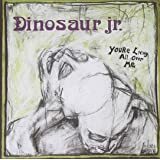 Although these purists have drawn different lines of demarcation, they tend to agree that the last three Dinosaur Jr. albums were an uninspired lot. On those albums, Mascis seemed to be weighed down by the size of his own legend and unsure of where the music should be going. The songs often included bloated string arrangements, and J Mascis sounded like he was just going through the motions most of the time. Gone was the carefree shambolic mess that made those early albums so refreshing. Needless to say, extinction of the Dinosaur Jr. name came slowly and painfully for most fans. 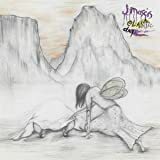 Yet, Mascis redeemed himself in the eyes of many of these fans with the release of 2000's More Light, which showed him awakening from the prehistoric slumbers that marred those last records and recording under the new name, J Mascis + The Fog. 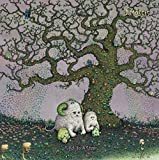 On Light, Mascis enlisted the help of other indie-rock icons (Bob Pollard and Kevin Shields) to create an album that should have been the true follow-up to Green Mind. It was a "rock" record full of the slackadaisical sonics and sardonic drawl that only Mascis could provide. It also conveyed a looser approach to the music and a renewed sense of fun that had definitely been missing from those previous efforts. Mascis' newest album, Free So Free, continues this trend. And while it won't make the entomologically inclined fans come back to the fold, those who enjoyed More Light or Green Mind will enjoy much of this. If the press release is to be believed, this record is a concept album about-get this-skydiving. Yeah, that's probably Mascis' way of gently tugging on the critical ripcord and bringing new meaning to the phrase "air guitar." Although there are plenty of opportunities to dust off that old air guitar here, I'll leave the skydiving treatise to someone at Rolling Stone. These songs instead appear to center on a failed relationship and are loosely bound together by musings on personal and political "freedom." The word free, or some derivation of it, can be found in nearly every song. 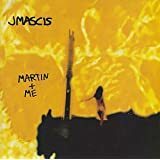 The album starts off right with "Freedom," which bites off a fret-full of distorted, chugging guitar while Mascis' scratchy voice sings lyrics such as, "Say it's time to move on, say it's over." Track two, "If That's How Its Gotta Be," slows down in tempo with acoustic guitar picking and bummed out lyrics. Towards the end of the song, drums drop-kick in and electric guitar squeals uncoil under the continued acoustic work. "Set Us Free" and "Bobbin" finds John Petrovic of Cobra Verde (ironically?) taking Bob Pollard's backing vocal duties over, as Mascis plays more classic slack rock guitar. It's all fun stuff, and if one's not playing this loud, they'd best not play it at all. The title track, in the fifth slot, is the centerpiece of this album and brings more off-the-cuff anthemic solos to mime to. "Free So Free" has Mascis singing some white-hot soul with his high pitched multi-tracked voice giving props to Mr. Superfly himself. He gets into a mellow funk and peels off three different guitar solos in six minutes. The middle one is acoustic, and the final one is a laidback flame-out that will have its listeners reaching for their lighters. Be forewarned, your girlfriend may want to get up on your shoulders for this.